“Barcode QR Scanner” is totally free. Your life must have a practical APP, is the only thing you need is a barcode scanner , because it will scan all types of barcode ! Use “Barcode QR Scanner” , you only need a simple operation can be completed on bar code and two-dimensional code scanning , decoding, create and share ! Let your smartphone rapidly becoming a powerful two-dimensional code , bar code scanning tool . 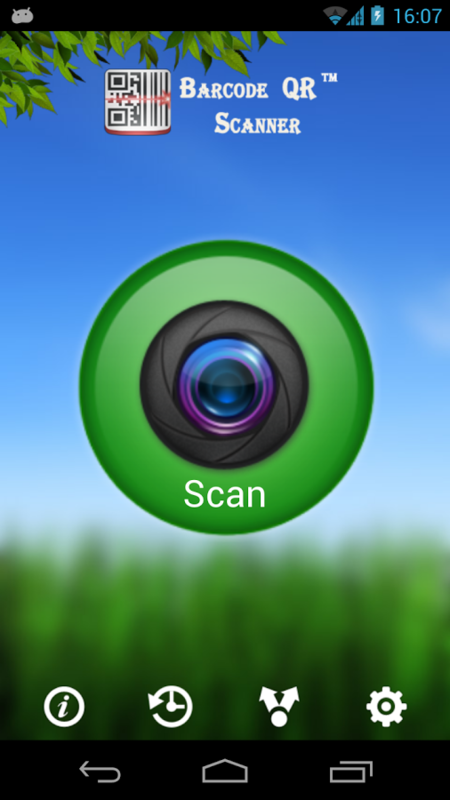 Open this application, keep your camera at a barcode can be scanned! Not only that , “Barcode QR Scanner” is also a handy barcode creation tools to help you create QR code or barcode images. 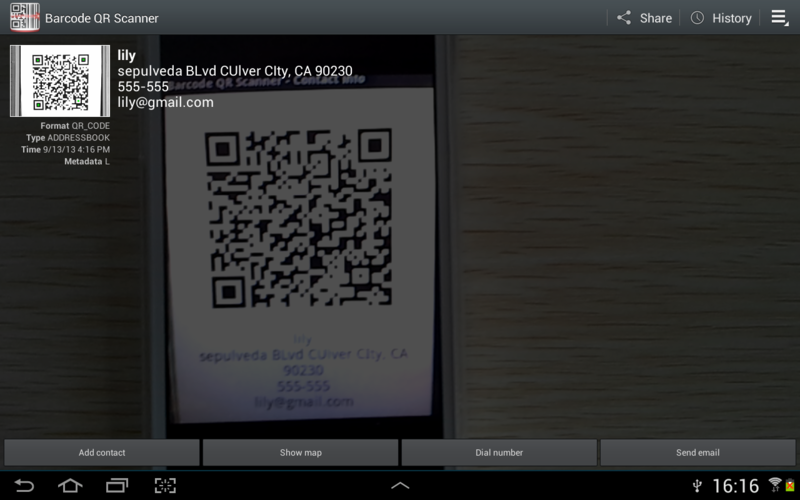 You can use it to create QR codes from your contacts , bookmarks , clipboard , and favorite applications. After you successfully created, you can share with our friends QR code or barcode images. Contact cards can be converted into a QR code image , immediately makes you a very professional person , is not very cool ? “QR Barcode Scanner” very smart , is your life good helper. Now two-dimensional code scanner barcode scanner can read barcode specified UPC, EAN, barcode scan your collection of product information, so you can more easily investigate product prices , and can search out a place to purchase products or website , so as soon as you have your favorite products. Using barcode scanners, two-dimensional code scanner lets you easily decoded text, URL , barcode, e-mail, contacts, calendar events, just simply use the cell phone camera can do . ★ quickly from camera to scan a two-dimensional code and bar code , automatic detection scanning without manually to capture barcodes. ★ You can create your own QR codes and barcodes , very fast ! – “Barcode QR Scanner” development based on open source ZXing library . While adhering to Apache License 2.0 .